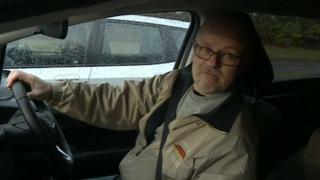 Workers at Honda’s factory in Swindon say the announcement that it is to close is “devastating” for the town. The carmaker has confirmed it will shut the plant in 2021, with the loss of about 3,500 jobs. Factory worker Martin Huggins called the news “a sad day for Swindon”, while a Unite union leader said the workforce had been “betrayed”. Honda has said the closure is a result of “unprecedented changes in the automotive industry”. 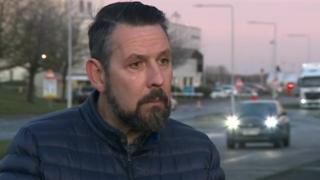 Outside the factory gates, employee Chris, whose son also works at the plant, told BBC Wiltshire he was “extremely disappointed”. “I’ve been here 19 years and it’s devastating for all involved,” he said. “You’ve only got to look across the road at the large warehouses here too, I don’t know what the jobs will be replaced with. Sue Newall’s husband Steve has worked at the factory for 23 years. She told the BBC he found out about the closure when a colleague who was off sick saw it on the news and called in to tell the others. “The managers didn’t know. There were rumours but we didn’t expect such big news. My husband was sent home with a pack to read up on,” she said. Another worker, Keith Murray, said the news reminded him of how the closure of the railway works in the 1980s affected the town. “Things do change, and other businesses will come in to take over. I don’t want to see anyone out of work,” he said. Alan Tomala, from Unite, said employees at the factory felt “betrayed”. He added: “They feel that the company owes them a little more than hearing the news in the media. It should have been the employer telling them yesterday. Local employment agencies have begun setting up meetings to prepare employees, who were all sent home from the factory on Tuesday morning and told to spend the day with their families. Kath Curr, managing director of C&D Recruitment in Swindon, said the closure was “devastating for the town as a whole”, but Honda workers’ skills were “completely transferrable” . “Swindon is one of the fastest growing towns in Europe and let’s hope Honda doesn’t make the local economy suffer because of that,” she added. Swindon Borough Council leader David Renard said: “I don’t think there’s anything we could have done to keep [Honda] here. Honda said in a statement that it would be making a commitment to electrified cars in response to “unprecedented changes in the automotive industry”. “We deeply regret how unsettling today’s announcement will be,” it added.